I love the delicate look of the snow on the petals. Just a light brushing of downy soft snowflakes. It would be so fun to have a “bouquet” of photos of the different colors of roses. 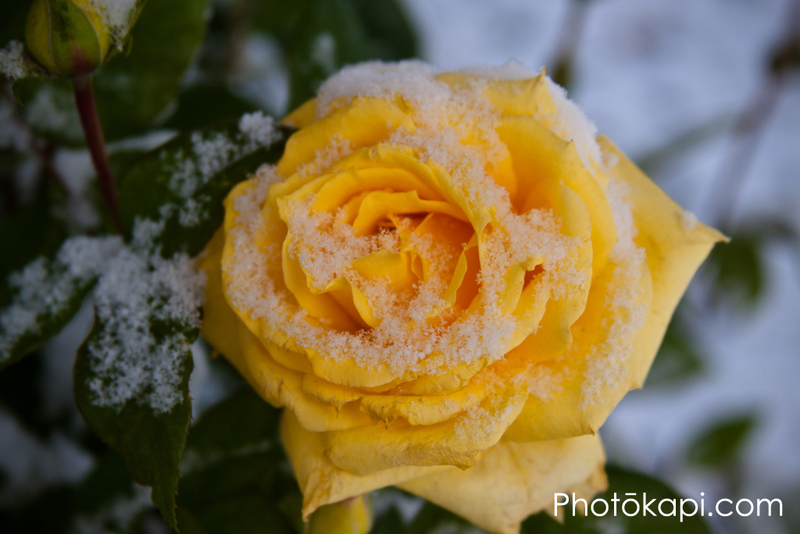 I love the yellow rose in the snow! !